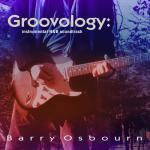 Broadjam Artist: Barry OsbournSong: Midnight GangsterReviewer: Nigel BarrettPositive Comments: Nice balance of instrumentation on this track. Constructive Comments: I’m guessing there is a vocal version of this track. Nice work. Positive Comments: Nice balance of instrumentation on this track. Constructive Comments: I’m guessing there is a vocal version of this track. Nice work.